Copper and mineral oil pesticides, peat in growing media, plastic for soil covering, conventional straw for bedding, feed additives, and animal drugs challenge the credibility of organic production. Organic-PLUS develops alternatives to such inputs. Copper, peat, antibiotics and other contentious inputs are still widely used in organic production across Europe. Alternatives may be available, but need to be further developed and disseminated. Further, inputs should not necessarily be replaced by alternative inputs. Sometimes a system change is a better option. Organic-PLUS will conduct research for organic horticulture and livestock production. 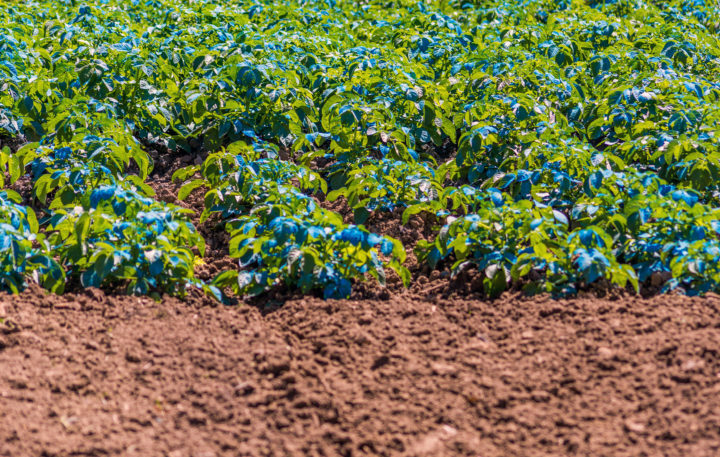 Alternatives to copper and mineral oils used for plant protection will be studied with a special focus on potatoes, perennial Mediterranean crops like olives and citrus, and greenhouse crops like tomatoes and aubergines. We will also study the behaviour of biodegradable plastics produced from renewable materials in various climatic areas, and effects of mixing biochar into the plastic as a filler. Organic horticulture needs better fertilisers, derived from non-animal sources, to become less dependent on inputs from non-organic farming, and to comply with vegan organic standards. Nutrient-rich resources like sediments from organic fish ponds and marine-derived fertilisers are relevant. For livestock, the potentials of natural plant products with immunostimulatory properties used as feed additives to replace synthetic vitamins, anthelminthics and antiobiotics, will be studied. Innovative approaches to bedding material, using new technologies on agroforestry materials and tree prunings, links livestock up with horticulture, since composted bedding materials are a valuable soil amendment/fertiliser. Agroforestry and pruning materials may also be a promising alternative to peat in growing media used directly, or composted without manure. Three work-packages (WP), PLANT, LIVESTOCK and SOIL conduct several studies to test alternative solutions, whereas WPs IMPACT, MODEL and LEAD assess opinions among consumers and other stakeholders, and evaluate the sustainability of alternative solutions.